The Rhinelanders German Band, a four piece group has been together and pleasing crowds for over ten years. If you like The Chicken Dance and Beer Barrel Polka, than this is the band for you. The band is out of Savannah, Georgia. They play many traditional German Waltzs and Polkas. The band wears traditional German attire. The personnel changes from time to time but continues to entertain the crowds. The band consists of Robert Taylor (Accordion - Keyboard) who has been playing the accordion for over fifty years. He has been playing at the Hofbrauhaus Restaurant in Hilton Head, SC where he has entertained thousands for the past thirteen years. Butch Chan and Billy Hoffman are the drummers with the group. As Robert, Butch started with the band at it’s inception. Other members are Robin Beauchamp on trumpet and John Bell on Sax, and Clarinet. The band has played at many locales in the past ten years including, Moss Creek Plantation, Sea Pines Plantation, Wexford Plantation and Ship Yard Plantation. 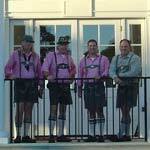 The band has played the Oktoberfest for the town of Port Royal, SC for the past two years. The Velvetones started playing in 1987 as a trio. They were one of three house bands for fifteen years at Johnny Harris Restaurant in Savannah. In 1990 the band became a quartet, and has stayed that way until present. The group was started by Robert Taylor (Accordion-Keyboard), and Butch Chan (Drums). The personel has changed through the years, with only the finest musicians playing with the group. Robert Taylor has been playing for over fifty years, with Butch Chan playing as long. Robert got his start in Savannah at the The Regency Room of the Downtowner hotel and played there for five years ending in 1981. 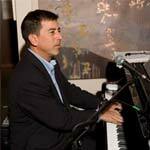 He has been playing at the Hofbrauhaus Restaurant in Hilton Head for the past thirteen years. 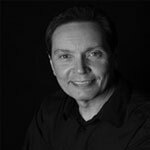 Joining Taylor and Chan today are Robin Beauchamp (Trumpet) who teaches sound at Savannah College of Art and Design. 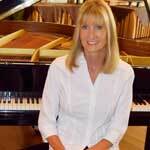 Robin has been playing in Savannah for many years, with groups such as the Savannah Jazz Orchestra. John Bell (Tenor Sax, Clarinet, and Flute) rounds off the group. John is employed by Portmans music store in Savannah and travels to local schools as a representative. John as Robin has played with many groups. He has played with recording artists. The band specializes in the Big Band sound. The four piece group sounds like a larger group with the versatvity of the muscicians who make up the band. The band plays for several dance clubs in the area, including The Penguin Club, The Islands Dance Club, and Dance Lovers Club in Savannah for the past eight years. They play for dances, weddings receptions, and parties. The group plays Fox Trots, Swing, Waltzs, and differant latin beats, such as Cha Cha, Rhumba, Tango, Bossa Nova and more. "Thank you so much!!! They were a HUGE hit just as they were last year! I look forward to working with you again!" The Rhinelanders were great and played a few extra tunes for us at the end. We were perfectly satisfied! The Rhinelanders were terrific and my Aunt enjoyed her surprise very much. Thank you for your help!